Marie Claire magazine recently featured a story in their October 2011 issue: The Big Business of Breast Cancer. This feature highlighted the $6 billion per year committed to breast cancer research and awareness campaigns... or people's pockets. Breast cancer has unfortunately become a "trendy" disease. 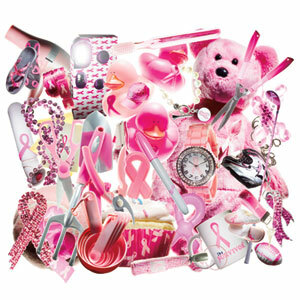 Cute pink items and ribbons are everywhere (even on baseball fields and in NFL stands, as reported by A Whispered Wish), and some dirty scoundrels are making a profit off of pink merchandise while only giving pennies to charitable organizations. Breast Cancer Research Foundation: Known for being the #1 cancer organization, over 90% of all donation dollars go directly to research grants and awareness programs. Susan G. Komen for the Cure: Racing for the cure through various popular events; 84 cents of every dollar spent supports mission programs and services. Avon Foundation: The Avon Walk for Breast Cancer awards grant money to local, regional, and national breast cancer organizations -- Marie Claire covergirl Reese Witherspoon is Avon's Global Ambassador! Don't be scared to buy pink or donate to breast cancer research, but be sure to check that your hard-earned money is being spent in the way you hoped. Websites such as Charity Navigator, GuideStar, American Institute of Philanthropy, or even the Better Business Bureau can help you look further into the organization's records and history.